54 million Americans suffer from Osteoporosis. It is a disease meaning “porous bone”. The holes in the bones can result in broken bones from minor accidents. 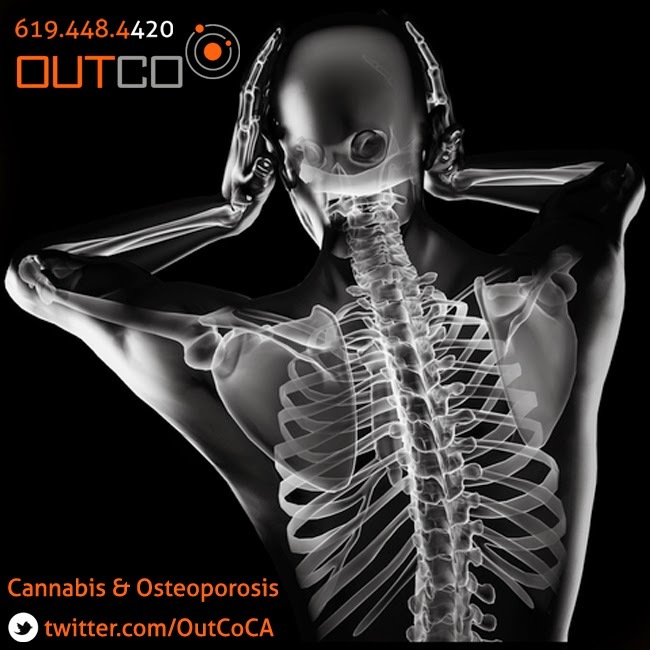 (Source) Experts believe cannabis can slow the progression of tissue loss leading to Osteoporosis. This is from findings of how interactions with the CB1 and CB2 receptors maintain bone density. Bone metabolism is natural in mammals where the minerals in the bone are renewed. Osteoblasts are bone forming cells. Osteoclasts are bone resorbing cells. Osteoporosis occurs when the bone formation is reduced and fat can accumulate in the bone marrow.